For the third release in the acclaimed Valhalla Collection, Highland Park has turned its attention to the mesmerising Norse Goddess of Love, Freya. Continuing the tradition of reflecting the character and qualities of the Norse Gods in the Whisky itself, Freya’s intriguing allure and feisty personality has inspired a full, rich and complex single malt with a lingering beguiling finish. Freya was the Norse Goddess of love, beauty, fertility, war, wealth, divination and magic. This Goddess belongs to a group of Gods and Goddesses known as the Vanir who were associated with nature, wild places and animals and unseen realms. She was renowned for her beauty and no man could resist her when she wore her enchanting necklace known as the Brisingamen. 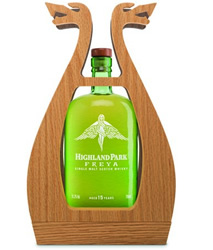 Highland Park – Freya, Single Malt Scotch Whisky, 70 cl, 51.2% Alc/vol. 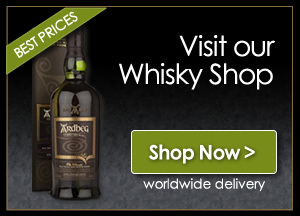 Nose…A whiff of heather smoke, fruits of the forest, vanilla and some weak menthol, sawn new wood. Taste…You cannot miss the lovely and delicate peat, a delightful citrus burst, nice hint of ginger spice, and overall sweetness takes you on this taste trip. Finish…Medium to long, the ginger spice and the sweet smoke linger the longest, very complex, fresh and fruity. This is quite a gem of a Single Malt it gives you everything flavours by the barrel full, the sweet smoke makes this one is Jim’s favourite of the Valhalla Collection. The Whisky Boys can only congratulate the team up at Highland Park Distillery for once again creating something quite extraordinary. Previous story Artisan Modern Scottish Restaurant – Whisky Galore!